John Fits perfectly and is very lightweight. "Very happy with the purchase. I wanted something light that I could wad up and place in a backpack. It takes the chill off but is lightweight and durable"
You've reached the top when it comes to the best gear for the most demanding riders. 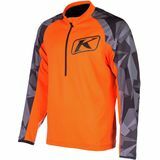 KLIM (pronounced climb) is an authority in designing, developing and manufacturing the most advanced motor sports apparel. Marrying moisture management, technical patterning, fabrics and ergonomic ventilation Klim provides comfort, fit, mobility and protection. Technology is key to the Rigby, Idaho based outfit as KLIM pushes its way to the top when it comes to waterproof, breathable, durable and comfortable materials. Klim protects you from below 0 conditions and keeps you cool and vented in 100 degree sun. KLIM strives to improve your riding experience without compromise and with MotoSport's collection of KLIM gear you can accomplish that feat. We have pants, helmets, helmet bags, socks, elbow pads, knee pads and back pads - everything you need to ride with safety and comfort. KLIM prides itself for its understanding of riders' needs and is constantly addressing them and renovating their product based on feedback and input from test pilots and you the customer. Expect more great things from KLIM now that is owned by the off-roading industry titan Polaris which boasts a line of sport, utility and all-terrain vehicles, and motorcycles. 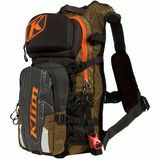 KLIM will remain an independent business entity and remain focused on developing their technology based, premium quality gear. As always MotoSport will sell only the finest parts, garments and accessories in the motorcycle and off-roading industry. If we don't wear it, ride it or use it we won't bother selling it. MotoSport.com is a prominent face in the off-roading industry and we are always on the lookout for new products and industry top sellers. Check back often to see what we've found. Get the largest selection of KLIM gear delivered to your door and free shipping on any order Over $79 from MotoSport!